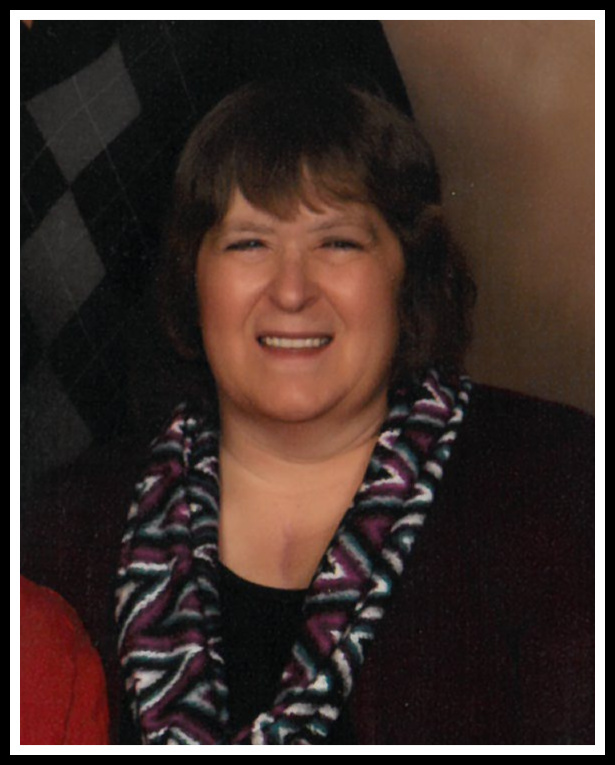 Denise L. Huber, 61, of Aberdeen passed away March 31, 2019 at her home surrounded by family. Denise L. Huber, daughter of Lyle “Tuffy” and Betty (Harrington) Orr was born on April 24, 1957 at Miller, SD and lived in Wessington, SD. Her family moved to Aberdeen during her elementary school years. Denise graduated from Central High School with the class of 1975. She moved to Utah for a few years where she took care of her nephew, returning to Aberdeen in the early 1980’s. She held various jobs before her marriage. Denise was united in marriage to Raymond Huber on November 27, 1982 at Sacred Heart Catholic Church in Aberdeen. She worked at Kessler’s for over 20 years where she had held the position of Overnight Manager, and later the Espresso Bar Manager. Denise retired in 2012 due to health issues. Denise was extremely giving of her time and talents and was always willing to help others. She volunteered at the Eagles Auxiliary for over 13 years and helped start the School Supply Outreach Program. The Elks Club also experienced 3 years of her volunteering which she thoroughly enjoyed. She was a 14-year member of Aberdeen Area Gift of Life and served on the board at one time. She recently became a member of Hub City Women of Today which she found rewarding. She served on the board and was an active member of SD Snow Queen for over 15 years and was just recently elected to the position of President. She helped organize multiple functions and gather donations for any organization she was involved in. She loved meeting new people and was always welcoming to new members. Formerly, she had held a position on the State PTA Board and was an advocate for Girl Scouts. In her earlier years she enjoyed bowling and camping. After her parents passed she found great enjoyment in watching the Minnesota Twins. When she wasn’t helping others, she could be found reading or listening to her favorite books and sharing her favorite movies with her grandchildren. Family was the most important part of her life, she loved sharing her time with family. Grateful for having shared Denise’s life are her husband, Raymond; daughters, Kim Mills and Samantha Huber, both of Aberdeen; grandchildren, Isabel and Kiera Mills; brother, David Orr of Lake Preston, SD and nephew, Zach (Marlene) Orr of Onalaska, WI.